‘Solid Evidence’ of CW Usage by Assad? 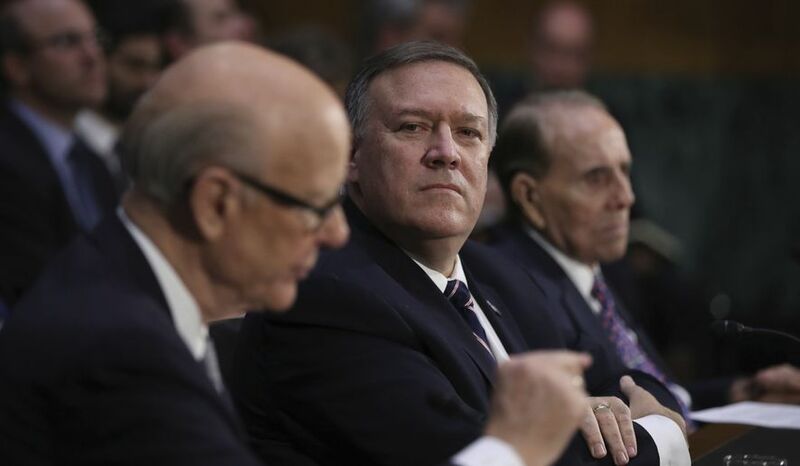 CIA Director Mike Pompeo said on July 11 at INSA Leadership Dinner that there is allegedly solid evidence that the Syrian authorities had been using chemical weapons in Khan Shaykhun. As M. Pompeo clarified, President Donald Trump ordered to conduct an investigation on the chemical attack in the Syrian province of Idlib. In their work, the intelligence community allegedly managed to establish the links of Damascus with the incident, but Pompeo did not present any concrete facts. The CIA director noticed that the results of their valuation underlined the decision to strike at the Shayrat Airbase were collected in less than a day by a team of experts in cooperation with some ‘outstanding’ partners from across the Intelligence Community. It is worth noting that an air strike on the territory of another state is akin to declaring war. Does everyone understand the degree of responsibility for such a decision, or are Pompeo’s ‘partners’ so outstanding? Probably, the second looks more credible. It seems that in their reports, the CIA relies on its new much discredited agents, White Helmets. The Intelligence Community probably thinks these sources can be trusted without even checking the data. After all, this organization gained the ‘profound gratitude’ throughout the world shooting and providing fake videos from Syria, and even received an Oscar for quality elaborate hoaxes. Click to enlarge. 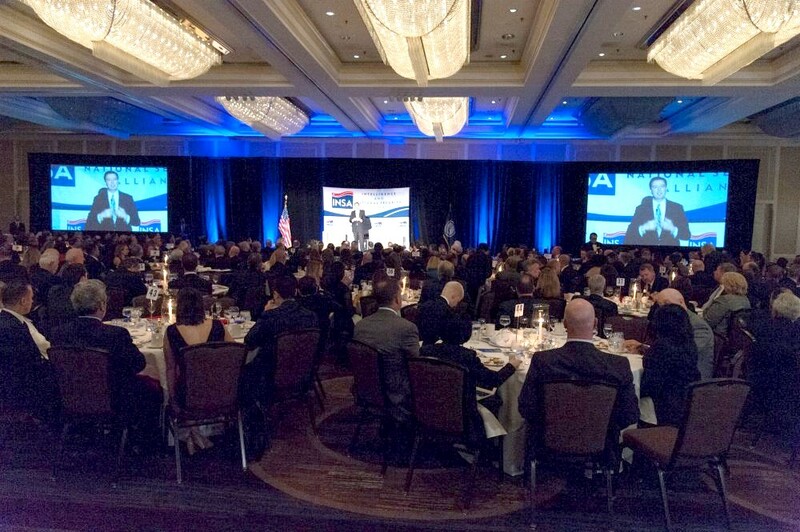 Remarks as Prepared for Delivery by CIA Director Mike Pompeo at INSA Leadership Dinner. In fact, one wants to believe that Trump’s decision to strike at the Shayrat Airbase was based on reliable facts and not only on the fact that Pompeo hardly bore to have Trump to look at him, which in itself is no doubt an achievement of the Director. However, leaving aside the sarcasm, what is the evidence of the CIA really based on? That’s the big question that today still haunts the whole world. Isn’t it time for the United States to present the testimony on the matter for everyone to see? The only two things you should think about after the pompous speech of the CIA director are about the decision-making process of the American leadership and about the competence of certain officials. Now it becomes clear where the reports about the inconsistent policy of the United States and the country’s lack of a clear strategy in the Middle East come from. And the most terrible thing for the patriots of the U.S. is that, their leadership is not going to change the attitude towards the state in the eyes of the international community. A negative evaluation of the U.S. foreign policy could have been turned into a positive one someday, if Washington had been interested in settling the Middle East crises. At first, it is necessary to stop making these false allegations about the involvement of the Syrian Arab Army in any crimes using the controlled media. Almost every major operation of the U.S. Army begins with data of not clear origin accompanied by a real psychological attack of Internet users. How, then, can anyone respect the U.S. policy if the leadership ridicule the country at the highest level, if the officials are not able to present material evidence of allegations, and the foreign policy of the White House contradicts the established principles of international law? The list of sponsors of this exclusive culinary event includes major U.S. Defence Department private contractors Raytheon, Mantech, BAE Systems, and General Dynamics. This is the military-industrial complex at work. What are Trump’s Intentions in Syria? 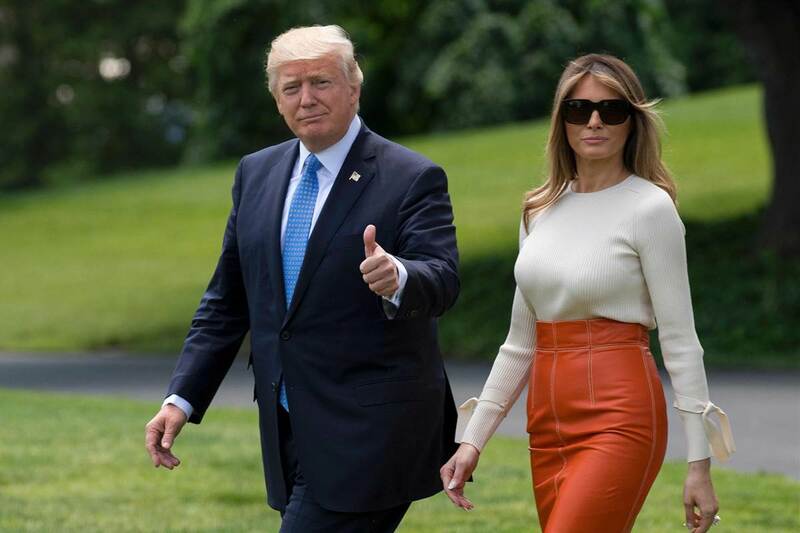 President Trump and First Lady Melania on first trip to Middle East, July 2017. Our policy is that the United States immediately end all foreign military intervention. Regarding Syria, we want the U.S. out, and would like to see elected President Bashar al-Assad in full control of his country. From a Syrian perspective, President Trump is yet another American war criminal prolonging an illegal invasion of a sovereign nation. But from the perspective of a concerned American, what are Trump’s intentions? Is there hope of U.S. withdrawal and peace? Our most optimistic theory is that Trump carried out the Tomahawk strike on Shayrat Air Base NOT because Assad had used chemical weapons, but to tell Assad to leave Israel alone. Remember, a few days earlier, Assad had shot down an Israeli war plane from that very same air base. Similarly, Trump’s more recent threats to Assad about his alleged imminent chemical weapons attack was a message to the Syrian President not to retaliate against Israel for its strikes carried out from the Golan Heights. Our hypothesis is that Trump is trying to prevent an escalation of hostilities between Israel and Syria, in which Israel is, of course, the aggressor. The de-escalation zone, set up by Trump and Russian President vladimir Putin at the G20 meeting on July 7, will comprise an area of southwest Syria bordering the Israeli-occupied Golan Heights. In keeping with our theory, this American-Russian-Jordan sponsored zone, agreed on by Israel and policed by Russia, is designed to stop further Israeli attacks on Syria. That the Russians will police the zone means it is not a land grab by the United States, and may be a step toward U.S. withdrawal. 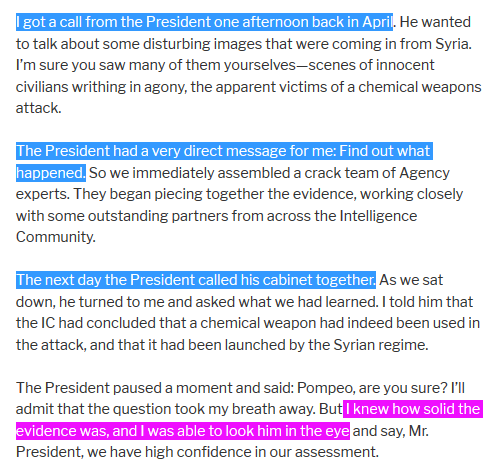 According to this scenario, Trump is not fooled by the alleged chemical weapons story, but is pretending to be fooled while working behind the scenes for another outcome. Remember, Trump has a genius IQ. And he’s up against huge opposition. This is just a theory, of course. But so far it has held. Yet why are theories even necessary? Why isn’t U.S. policy transparent? The reason is that Trump opposes the American-European elite establishment, which still ultimately controls the U.S. war machine, and even disagrees with his own cabinet, whom he appointed strategically to maintain his presidency. We hold out hope that Trump will prevail. I don’t know why; but, I don’t trust that guy. He seems like a swamp rat to me.